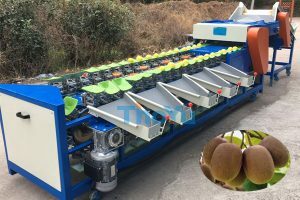 pear weight grading machine is used to sort fruits and vegetables such as apple, peach, orange, kiwi, grapefruit, pitaya, potato,onion, tomato into different grade according to their weight,the machine is also called pear weight sorting machine,pear weight grader. 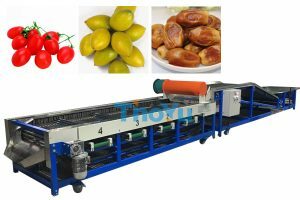 pear weight sorting machine use the principle of balance and leverage, holding device weights and weights of weighing and measuring device, moving translocation reach to measurement control classification,during automatic transmission, fast and correctly classify the fruits and vegetables. This pear weight grading machine is efficient and precise. It’s widely used for grading apples, pears, persimmons, onions, lemons,mango,pomelo,jujube,and other round fruits. It is controlled by PLC, and is highly intelligent. Weighing, logic calculation, counting are integrated. Reasonable structure design, high sorting speed, low broken rate, small weighting error and high degree of accuracy. The weighting sorting performance has reached the international standard. 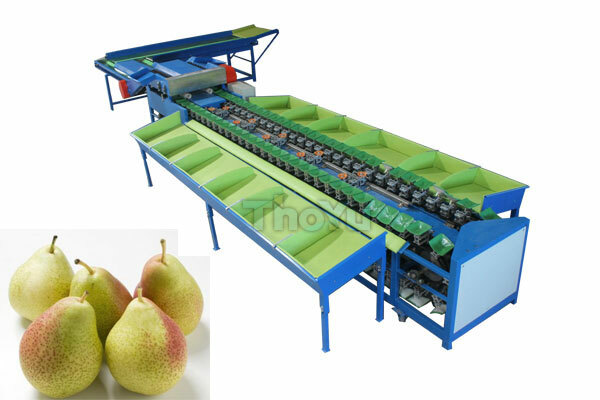 This pear weight sorting machine can be moveable. It can not only work in the fruit garden, but also in the town factory. Thus it can reduce the fruit broken caused by fruit carrying. Best price, good performance, easy to operate, low failure rate and long service life. It help the user be able to afford, use well and high efficiency. 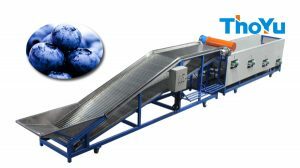 This pear weight grading machine can be suitable for sorting area with big temperature difference, and it can work normally under temperature 30-40 degree below zero.